A sea of bouquets enshrined the streetlights and storefronts, lining the entirety of Stockholm’s major pedestrian street Drottninggatan this past weekend. Thousands paid their respects while walking the route a terrorist had carved with a stolen truck just two days earlier. The recently arrested, unnamed suspect plowed through crowds and eventually crashed into Åhléns department store above T Central. Convening around Sergels torg, the most central public square in Stockholm, which sits right across the street from the crime scene, over 20,000 people flooded the area on Sunday, April 9 to mourn those killed and injured during the worst terrorist attack Sweden has faced in over half a century. “We should stand a united front,” vigil organizer, journalist, and blogger Damon Rasti rallied in an opening address to the memorial service. “We are an open city,” Wanngård said to resounding cheers minutes before the scheduled moment of silence at 2:53 p.m. Participants locked arms for as far as the eye could see during this pause in the demonstration, commemorating the exact time the attack occurred on Friday afternoon. Stockholm resident and master’s student at The Stockholm School of Economics Jessica Backsell offered comments in an interview with The Argus. 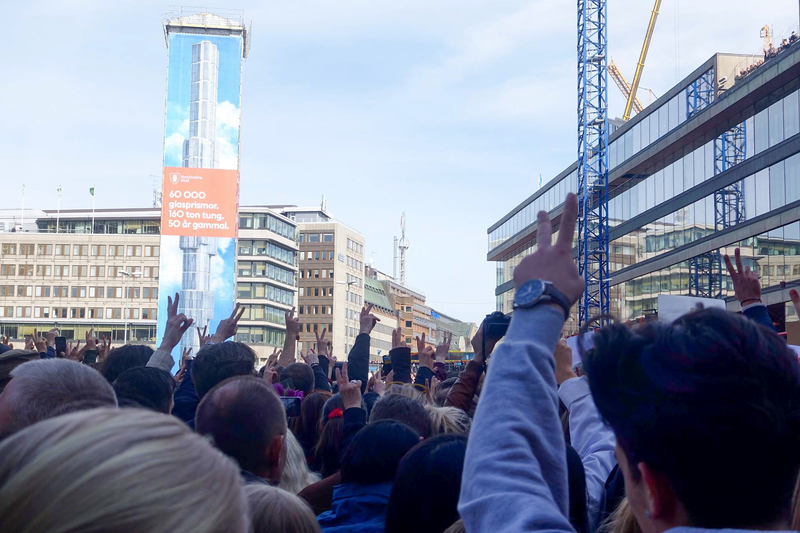 Using #openstockholm, organizers spread the word like wildfire over a 40-hour period about the event titled “Kärleksmanifestation på Sergels torg – Stockholm står enat.” Rasti was stunned over the ultimate turnout, having initially expected 10,000 participants. “A completely unimaginable record figure,” Rasti wrote of the estimated total headcount in a post on the event’s Facebook page. On Saturday, flags flew at half-staff for the 4 killed and 15 injured as political leaders and celebrities alike paid tribute to the victims in the central district of Norrmalm. Löfven declared Monday, April 10 a national day of mourning and called for a moment of silence at noon. “We must show strength, we must combat this,” Sweden’s Crown Princess Victoria said teary-eyed as she placed roses in front of the rapidly growing wall of flowers. 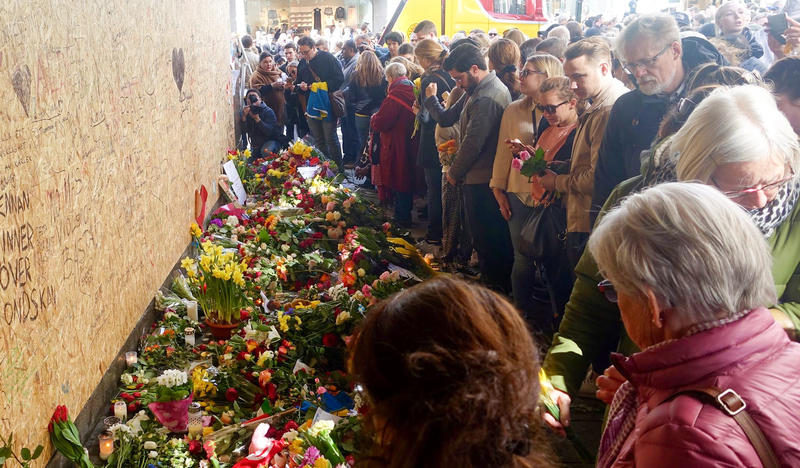 With the recent announcement of the arrest of a second suspect in connection with the April 7 attack, local law enforcement is currently investigating any ties these killings might have with the recent wave of Islamic State (IS) violence sweeping across Europe. “We know that he showed interest for extremist organizations like [the] IS,” police chief Jonas Hystag said of the suspected truck driver during a press conference on Sunday. This attack would certainly fit the extremist group’s current modus operandi. From a Christmas market in Berlin, Germany at the end of 2015, to Bastille Day in Nice, France in 2016, to a pedestrian bridge near Westminster in London, the United Kingdom this past month, the IS has begun relying more frequently on automobiles to carry out attacks. “The Islamic State revived the idea of using cars as weapons after it broke with Al Qaeda in 2014. 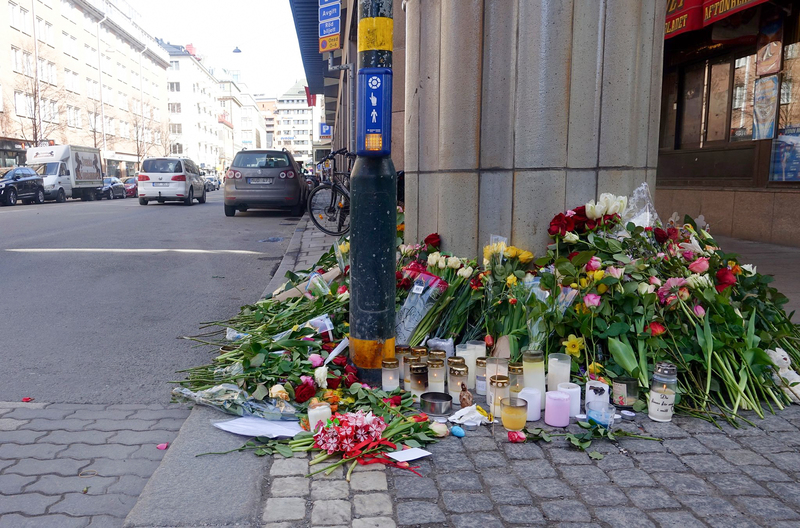 In the past year, Islamic State militants have claimed responsibility for the deaths of more than 100 people in Europe,” Christina Anderson and Martin Selsoe Sorensen wrote in The New York Times. On Sunday, police also announced that the suspected truck hijacker is an undocumented Uzbekistani citizen whose asylum request was rejected this past year. Those on the far right in Sweden—politicians and media outlets alike—were quick to use the bloodshed as a talking point for tighter borders. Since 2015, a record high year for Sweden in which nearly 165,000 people sought asylum in the country of 10 million, the once welcoming asylum regime has adopted a series of restrictive immigration policies that have resulted in mass deportations and a return to the minimum EU refugee quota requirement for up to three years. As Sweden joins the ranks of other wealthy nations like the United States, which are attempting to pull back on flows of migration across their borders, questions remain as to whether or not this is an effective long-term strategy that will strengthen national security. 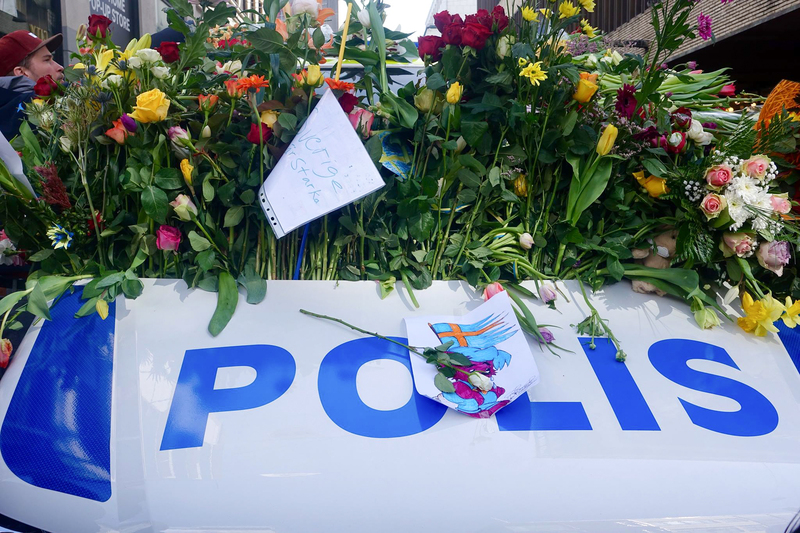 For myself, who covered The Women’s March in Stockholm just several blocks away, while the political aftermath appears messy and uncertain, Sunday’s memorial proved to be yet another moving demonstration of solidarity and respect. “It feels like a small light in the darkness,” Rasti told Expression at the close of the vigil. Emmet Teran can be reached by email at eteran@wesleyan.edu and on twitter @ETerannosaurus.